If you are looking for a more radiant look with natural holistic methods, we have just what you’ve been looking for! Today, we will share our holistic method: bee venom to help you be the most beautiful version of yourself inside and out with the best natural tools. This article will explain the benefits of bee venom, what are the benefits and why is it safe for bees and you. Bee Venom: How does it work? When we get stung by a bee, the venom makes our skin swell and itch for a few days. Bee Venom Therapy does something similar, it takes the properties of a bee sting and turns them into anti-aging magic! When we apply Apitoxin (bee venom) on our skin, it fools it into believing it has been stung, causing the production of collagen and blood circulation to increase. This helps our skin to remain firm and youthful. Most of the applications and therapeutic uses of apitoxin help with the prevention of natural treatment of arthritis, sclerosis, and rheumatism with absence or minimization of side effects. Bee the prettiest version of yourself ? 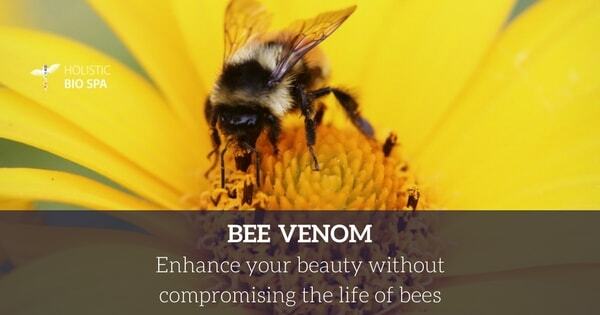 Bee venom has enormous properties in different senses and is an excellent natural holistic anti-aging option. Do not worry! They are not harmed during the extraction process. Methods have been developed that do not compromise the life of the insect by placing in the hive a glazed grate connected to an electronic control source, responsible for producing a sequence of very precise stimuli so that the bee expels the poison, depositing it in a place from which it can be extracted. 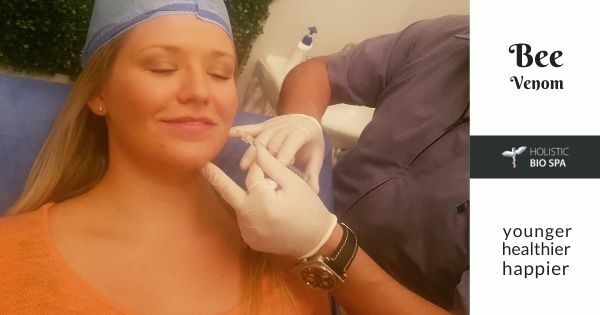 Dr. Juan Ortega is an experienced certified plastic surgeon in Puerto Vallarta who is part of the Holistic Bio Spa Team. He has studied abroad to learn the most innovative, safe, and holistic techniques for his patients. Are you ready to renew your skin? Call us to make your appointment ? +52 (322) 221 1607 and pamper yourself with the best natural and holistic methods. Not currently living in Puerto Vallarta? Share this article with a friend. Come and enjoy a beautiful relaxing vacation and go home with a healthier and younger look! If you at one point hesitated to get a bee venom treatment, schedule a consultation with Dr. Juan to visualize the results possible with this holistic non-invasive treatment.